One of the most irritating things about menopause, and ageing, is that our hair colour and texture do change. Hair loss is very common at menopause but there are some tips that can help make the most of the hair you have. When hair starts thinning then what can happen is that when progesterone levels fall as a result of lack of ovulation the body responds by increasing its production of the adrenal cortical steroid, androstenedione, an alternative precursor for the production of other adrenal cortical hormones. One of the symptoms of low thyroid is hair loss, and the late Dr John Lee, who was the pioneer of bioidentical natural progesterone usage for women at menopause, wrote that he was very surprised in his own medical practice withe the much greater numbers of women than men taking thyroid supplements. Low thyroid tends to cause low energy levels, cold intolerance and weight gain as well as hair loss and he also noticed that these women were suffering from oestrogen dominance. This occurs where their oestrogen levels are not in balance with their progesterone as happens after menopause, or a hysterectomy, and can happen even with low levels of oestrogen if the progesterone is lower still. 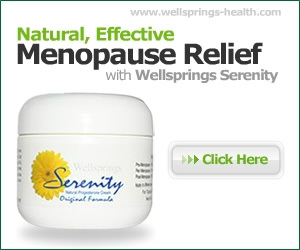 He used bioidentical natural progesterone to correct this situation and rebalance their hormones. There are a number of specialist hair products for thinning hair so seek them out and make them part of your regular routine. b) Hair, whether thick or thin, needs moisture to look healthy and have some bounce and shine.. You might think it’ll weigh down your hair, so choose a lightweight one if your hair is normal/oily but if it is dry go for a richer one as it will absorb the product and so won’t have this effect. Conditioner can make your hair more manageable, add shine, and protect it from breakage. c) Most women use a variety of styling aids such as hot brush, tongs, straighteners, curlers and of course a hair dryer. These are ok in moderation, but always choose a cool setting and don’t overdo it and stop as soon as it is dry. Always protect your hair with a specific heat-protectant spray and comb it through before starting to dry your hair or the strands will harden and get brittle. 1 Styling tips: This can be a good time to speak to your hairdresser and think about whether a change of style could help. a) A layered cut can add bounce and fullness and thinning hair may look better swept up to the top of your head where you can add clip-ons such as false bun or hairpiece for a look that’s more subtle than a full wig. Avoid pulling the hair tight onto the headstyles such as ponytails, or pigtails. They can cause breakage and pull out hair at the root, causing scarring that prevents regrowth. b) You may have been used to backcombing or teasing your hair to get more fullness but it can damage your hair and cause split ends and fly-aways. Combs designed to sit on the crown of your head and push hair up can give you a lift without the damage. c) It may be tempting to consider using hair extensions, but while regular extensions won’t hurt your hair, but they’re designed to add length, not thickness. And because most are placed on the sides of the head, they can’t add fullness at the top. Some companies and salons offer products designed for thinning hair, but they may be expensive. 2 Add some colour: When dyeing thin hair, choose a shade that’s close to your natural colour as the less contrast between your hair and scalp, the better. Don’t be tempted to go for a colour which will involve lightening or bleaching your hair. The dramatic color change requires more chemicals, which can make hair break. If doing it at home, follow instructions to the letter, but you may be better going to a salon unless you are already used to colouring your hair yourself. 3 Make it up: There are now a number of tinted powders made specifically to disguise hair loss, or simply cover grey roots. These come with an applicator like the kind you use to apply eye shadow. Apply the product lightly — tap the excess off the brush and dab it gently onto your scalp. 4 Have a perm? : A permanent can add volume and make it seem like you have more hair than you do, BUT If hair is already breaking this may not be the best option as it can damage hair. If you decide to try this then only do it at a salon where timing and chemicals can be carefully controlled and make an appointment first to discuss its suitability for your hair. 5 What about a wig? 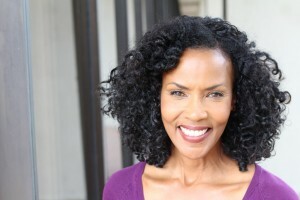 It is a common misconception that wearing a wig will lead to more hair loss. That is true of hats, as wearing them all day can cause friction and make hair frizzy. However a wig can give you confidence, and a choice of how you look, and there are now a number of styles available in a wide range of prices. 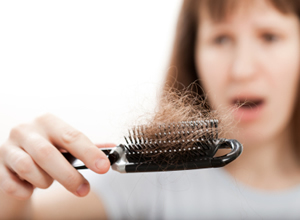 As hormone balance, and thyroid problems could be behind your hair loss you may want to deal with your oestrogen dominance and check with your doctor that there is no medical reason why your hair is now thinning. An excellent website for those with thinning hair was set up to help women cope with cancer treatment related hair loss but has some very effective help and tips for anyone concerned about their hair.